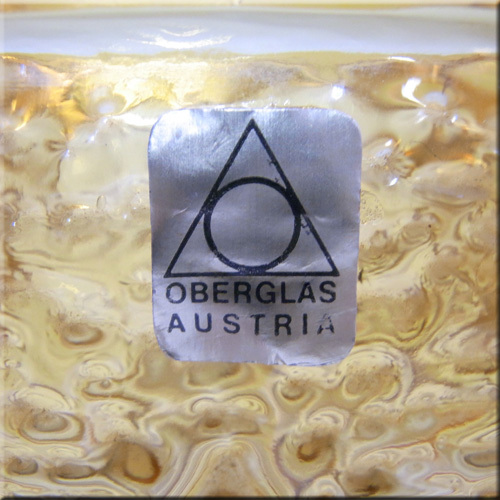 Founded in 1805 in Bärnbach, Austria, Oberglas produces mould bowl glassware, and is still in operation today. 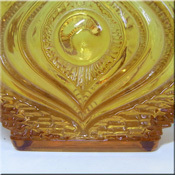 Oberglas Austrian textured amber glass 'Eye' vase, labelled. Quite often mistaken for a Riihimaki design. Oberglas Austrian textured purple glass 'Eye' vase. Quite often mistaken for a Riihimaki design. Oberglas Austrian textured green glass vase. Sometimes mistaken as Whitefriars. 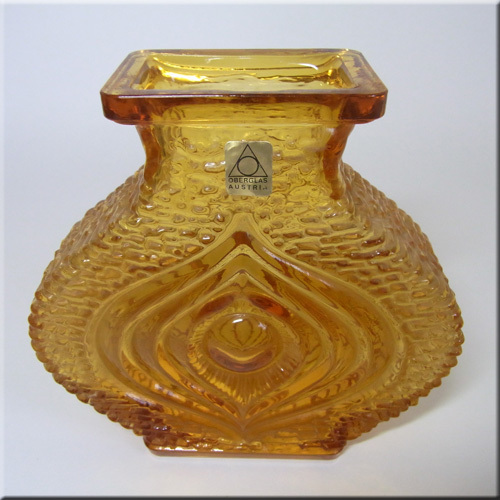 Oberglas Austrian textured amber glass vase. Sometimes mistaken as Whitefriars. Ref: click here Oberglas Austrian textured blue glass vase. Sometimes mistaken as Whitefriars. 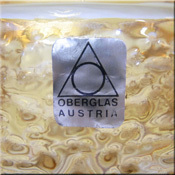 Oberglas Austrian textured lilac glass vase, labelled. 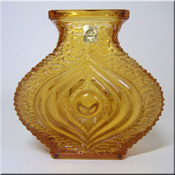 Oberglas Austrian textured amber/marigold glass vase. Oberglas Austrian textured amber/marigold glass vase/candlestick.